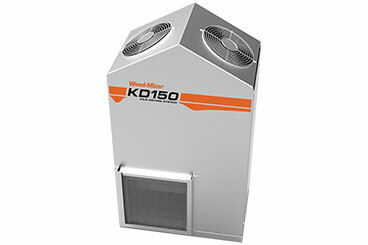 Wood-Mizer offers dehumidification and solar kiln kits with capacities ranging from 300 to 35,000 board feet for drying lumber. Kiln drying lumber is a simple, cost effective method recommended for anyone who wants to increase profits by selling dried lumber. Kiln dried wood typically sells for a third more than green lumber and eliminates the need for customers to incur costs associated with drying lumber before use. 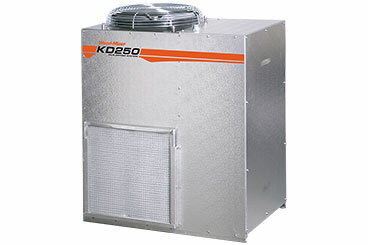 The Wood-Mizer KD series of kilns feature 100% corrosion resistant aluminum cabinets and specially coated dehumidification coils to ensure quality lumber drying performance and an extra-long life. 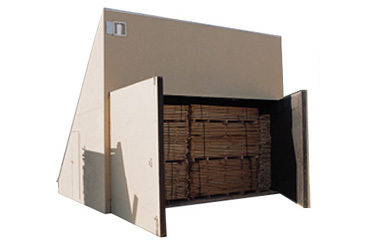 The KS solar kiln is a simple and economical system for starting to kiln dry lumber. 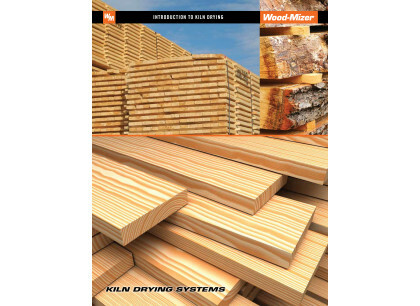 Download a free Introduction to Kiln Drying Guide that provides basic information on how to dry wood and the many advantages of drying your own lumber. Kiln chamber diagrams are also available. 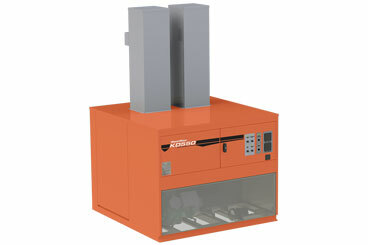 Review our complete range of wood kilns below. 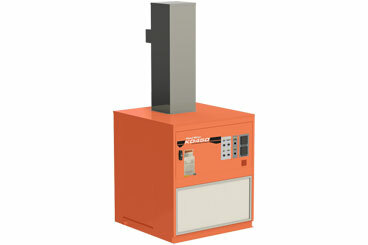 High-quality dehumidification kiln for controlled lumber drying of 1,500 to 4,000 board feet.